Augusta Emilie Hallbauer was born January 15, 1861 in St. Louis. Missouri. She was the fourth child and third daughter of Charles and Anna Sophia (Schloo) Hallbauer. There is no record of her birth. The 1870 census find her 7 years old, living with her father and attending school, her mother having passes away in 1869. In the 1880 census Augusta, 17 is living with her married sister, Emma Huhn, at 2311 Chouteau Ave. Only two doors away at 2315, her future husband Charles is working in his father's blacksmith shop so it is probable that they met because they were neighbors. Charles Jost was born on February 25, 1854 in Columbia Illinois. He was the second child and first son of John Jost and Barbara (Volaufer) Jost. He spent his early life in Columbia and attended school for some years as noted in the 1860 Census. Later, by 1870 census, he is a blacksmith apprentice working in his father shop. By the time of the 1880 census the family had relocated to 2315 Chouteau Ave in St. Louis where his father had a Sattler Shop and he is working as a blacksmith. On January 1, 1881 Charles is married to Augusta Emilie Hallbauer. The marriage is noted in the Missouri Marriage Records. The witnesses were Albert Beal and Henrietta Immer and the marriage was officiated by J. G. Eberhard, the pastor of the Independent Evangelical Protestant Church of the Holy Ghost, (German Evangelical Church), located at 8th and Washington. We can assume that either the bride or the groom or both attended service there. Independent Evangelical Protestant Church of the Holy Ghost. 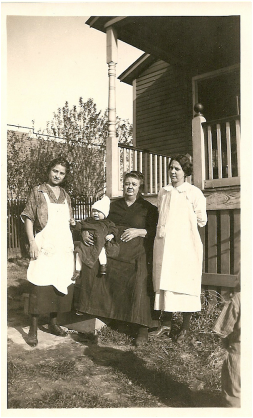 The 1920 census find the Josts living in the home of their daughter, Bertha Hahne, at 2615 Caroline Street. 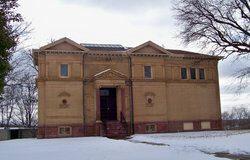 Charles dies from Gallstones on January 16, 1922 and was cremated and his ashes lay in Valhalla Hillcrest Abbey in the Abbey Annex in St. Louis, MO. 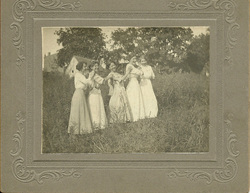 After the death of her husband Charles, we find Augusta living with some of her children. In the 1930 census she is living at 1631 Texas Street with daughter Heniretta who is married to Fred Sturgess. By the 1940 she is living with her daughter Lena and her husband Tony Pointer at 7017 Idlewild Street in Jennings. Augusta died September 6, 1941 at 3 PM of a stoke caused by hardening of the arteries and was cremated at the Missouri Crematory. 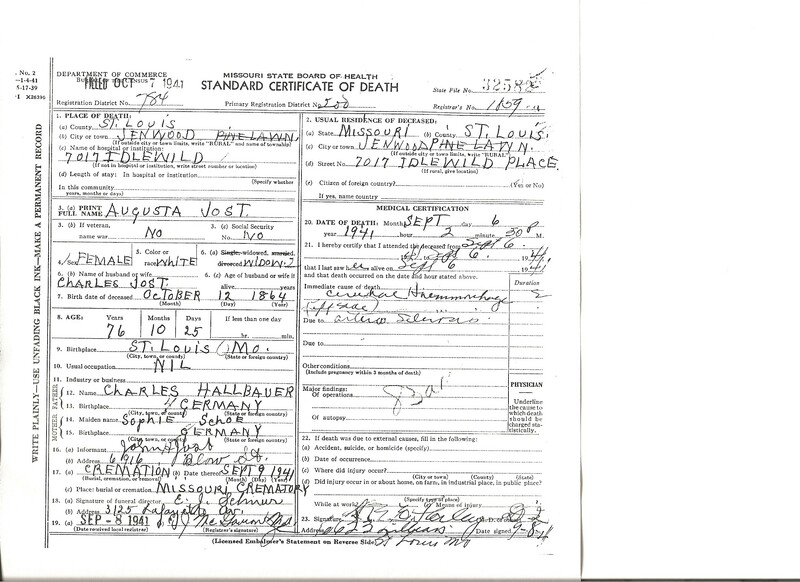 Charles and Augusta ashes are in Hillcrest Abbey, Valhalla Cemetery, St, Louis County Mo. Hillcrest Abbey Valhalla, St, Louis County Mo.